as a kid, there was nothing better than building a fort, bringing snacks under it and watching a movie. so i made the adult version for me and my friends! we hooked up my apple tv to the projector and watched the graduate. such a good movie. 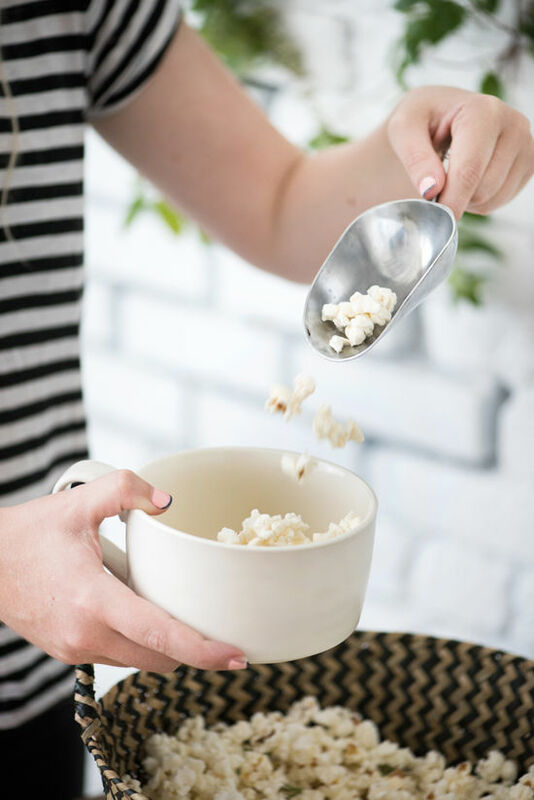 see how we decked out our studio with pillows and the homemade snacks we made with blue diamond almonds below. 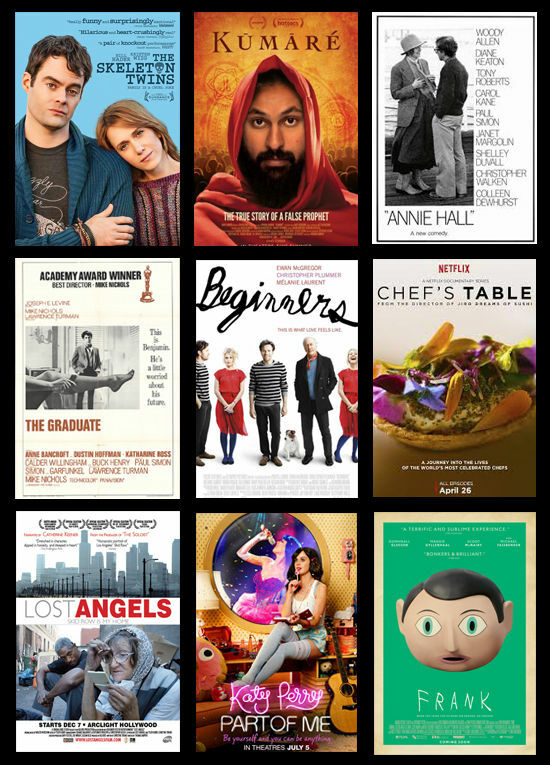 also get 9 of my recommended films to play on your next movie night! 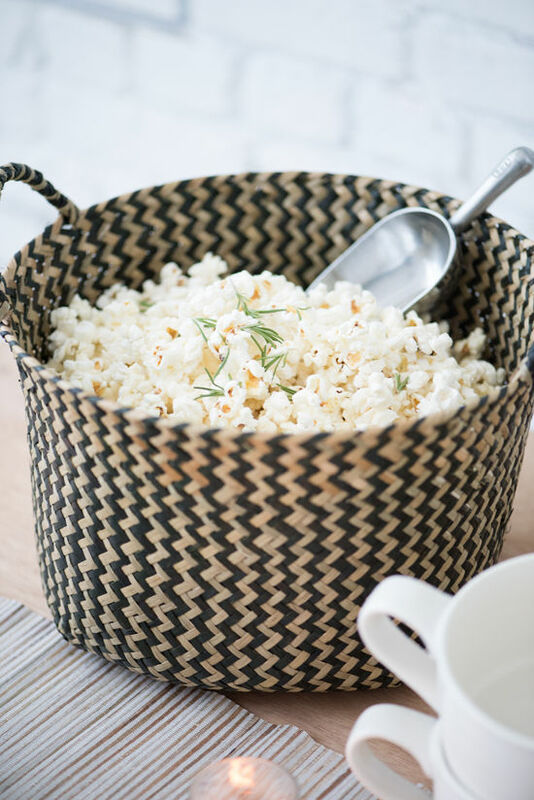 for the food, we created snacks that were a slightly more sophisticated take on the classics. 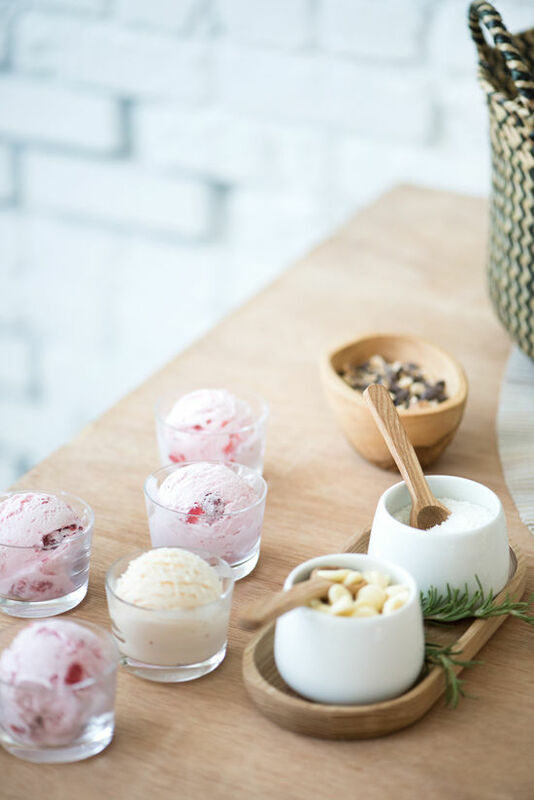 caramel corn with roasted chocolate almonds, parmesan rosemary popcorn, homemade soft pretzels with dipping sauces, three varieties of aqua fresca and mini scoops of ice cream served with crushed almonds, coconut and white chocolate chips. found rentals let us use some of their amazing pillows and rugs, they have the best stuff and they really helped to achieve the sophisticated laid back vibe i wanted to create. 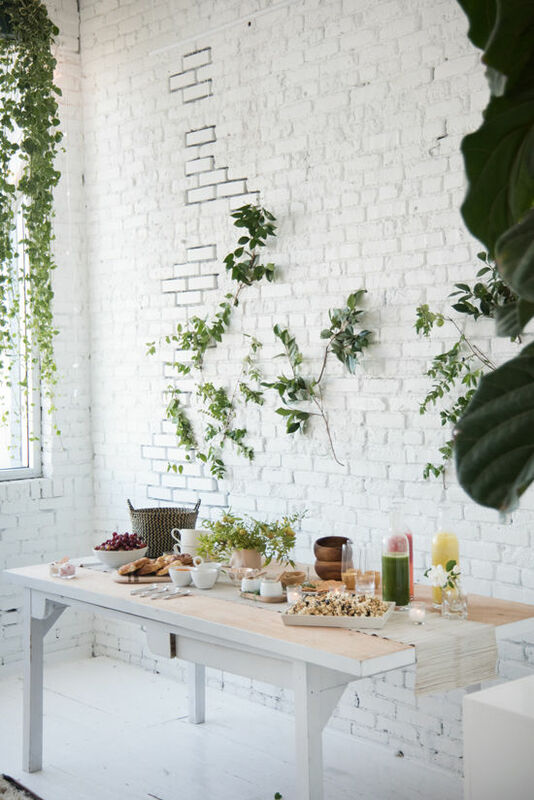 and jenn sanchez provided the gorgeous florals for the occasion, i love the green vines on the wall and that hanging plant is on point, thanks jenn! 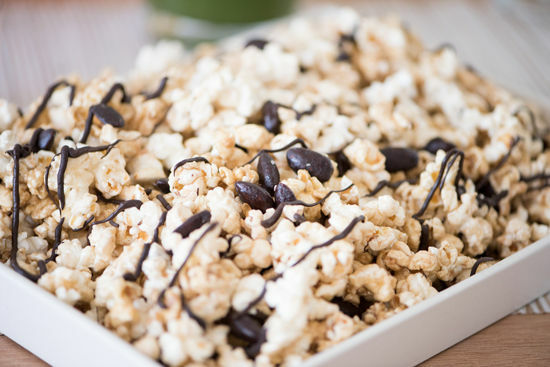 for the popcorn, we used this amazing recipe and subbed in the dark chocolate almonds, it was so delicious. 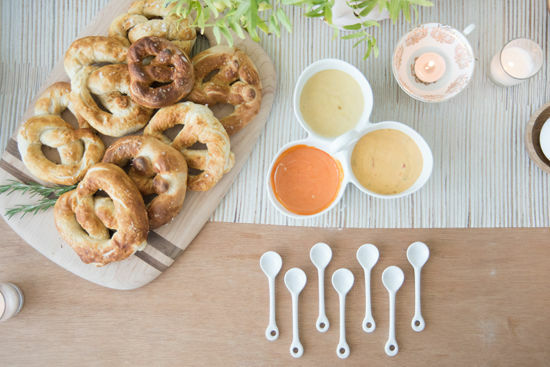 the pretzels were a recipe from here, we followed the instruction exactly except for the part where you’re suppose to dip them in butter after they’ve been cooked, we felt like that was probably a little excess and they tasted amazing without those added calories. 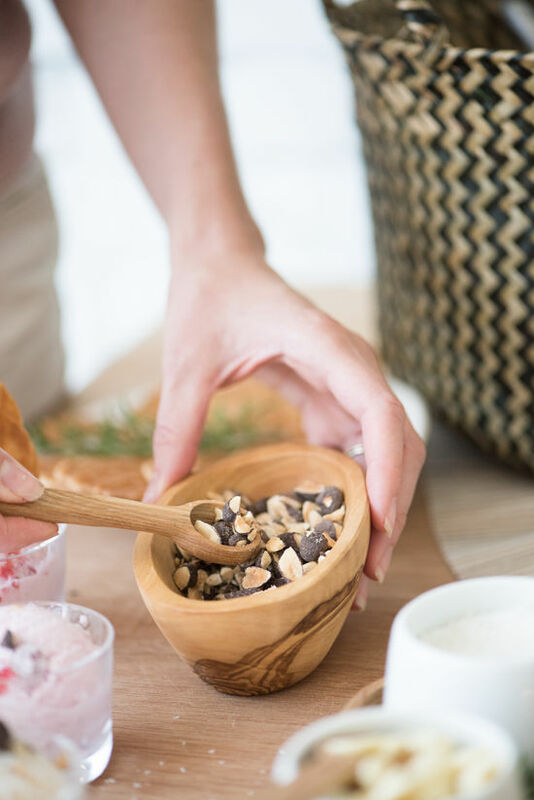 we also placed little bowls of the blue diamond blueberry almonds around for people to munch on and to balance out the heavier snacks. 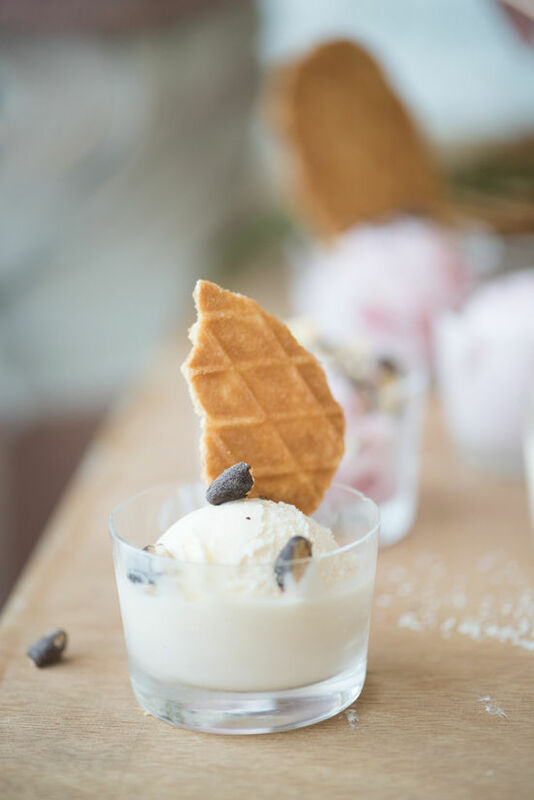 i bought these tiny glass cups and we served really small scoops of ice cream in them which was perfect because people want a little sweet treat but a little goes a long way. we had red wine and snacks after the movie was over and just hung out. what a fun night. 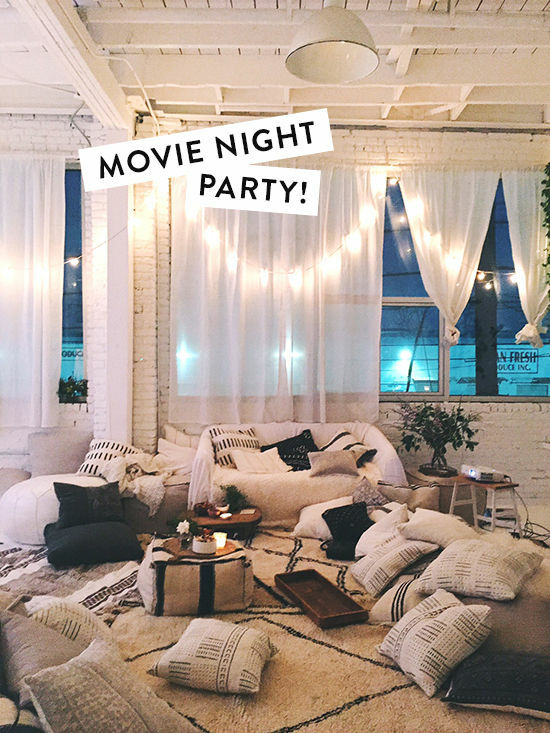 i want to have movie night every month! we linked the trailers below if you want to check them out! 1. the skeleton twins – two of my favorite actors. heartwarming, real, and funny. 2. kumare – can’t believe what this guy got away with for so long. 4. the graduate – another classic good for boys & girls! such great fashion in there too. 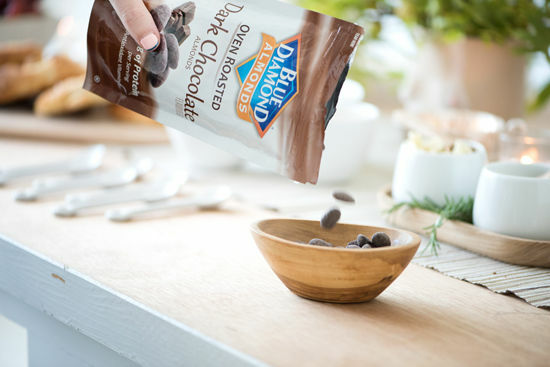 this post is in partnership with blue diamond almonds. all opinions are my own. 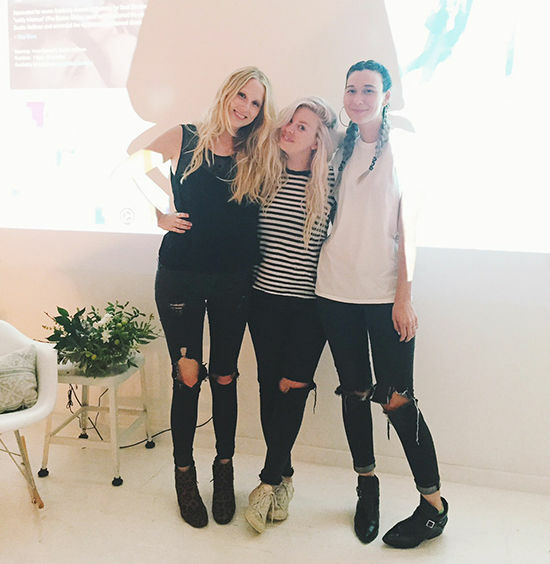 Hey Bri, I am not sure if you are aware, but Bloglovin does not seem to be updating with your new blog posts this week. Is there anything you can do to get this fixed? Thanks so much! I always read from there but noticed there was nothing from you for two days so I checked and there is definitely a problem. This looks so fun and cozy! What a great way to get everyone together. 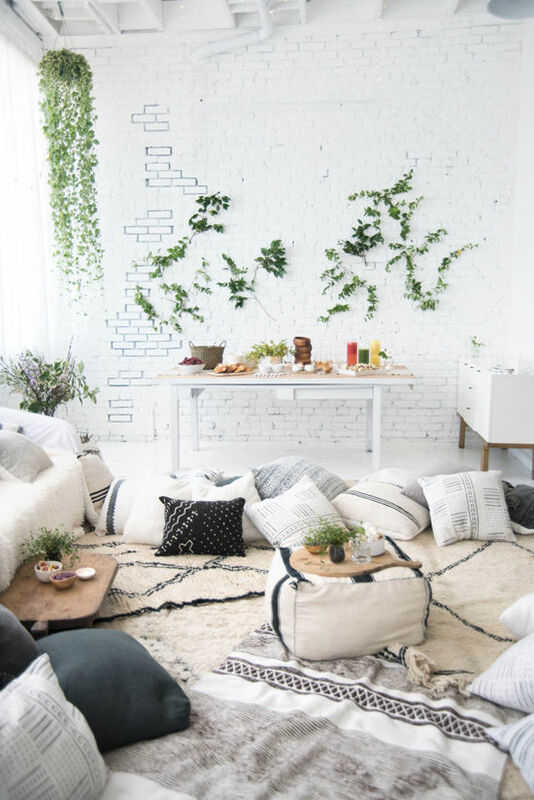 Love all the cushions and pillows scattered strategically around. 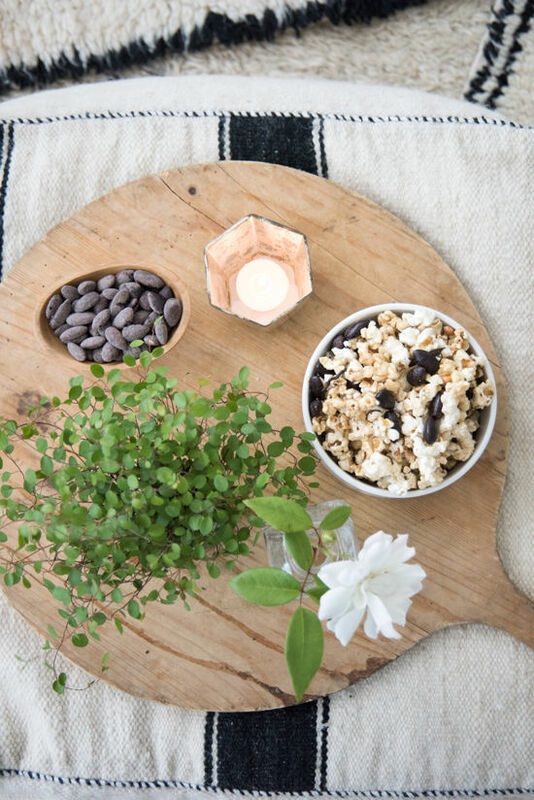 Also, such yummy looking snacks for a movie night! 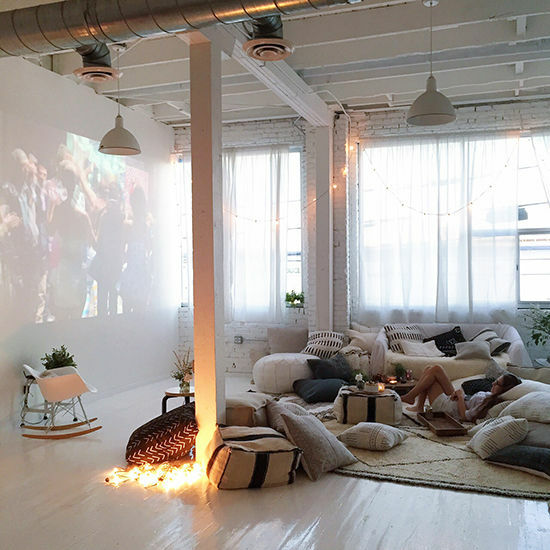 such cozy decor, wow I love how you set up your movie night, looks lovely! this looks so classy and stylish! 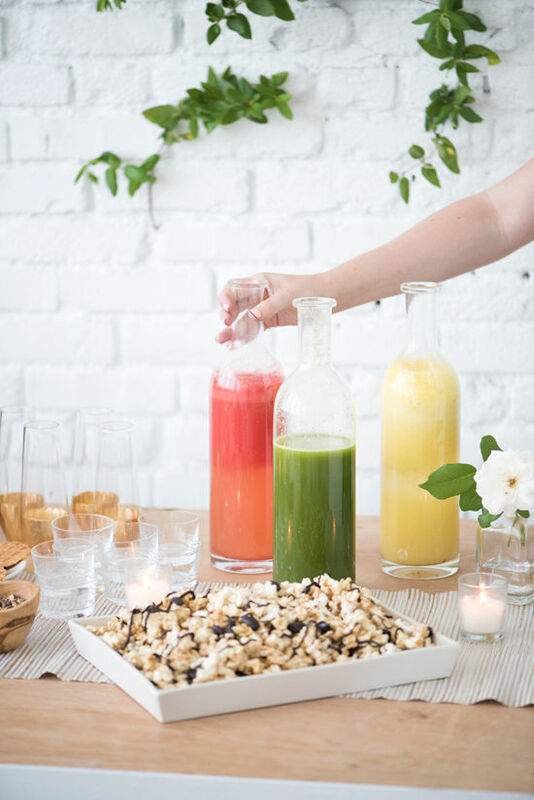 My movie evenings usualy looks more… normal 😀 But I definitely must try your idea and invite my friends 🙂 lobely! 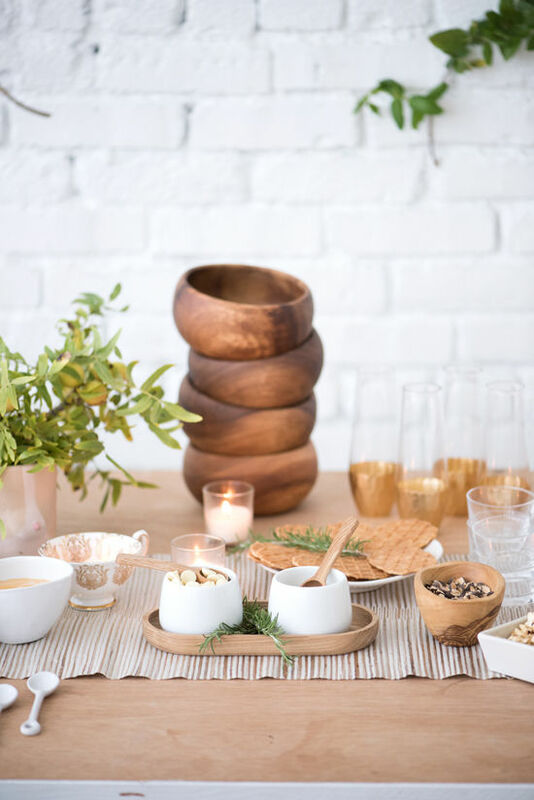 I love the neutral and natural elements of this party decor! I’m drawing so much inspiration for my new place I’ll be moving to in the fall! I am also loving your movie recommendations, I saw Chef’s Table on Netflix and it was amazing! 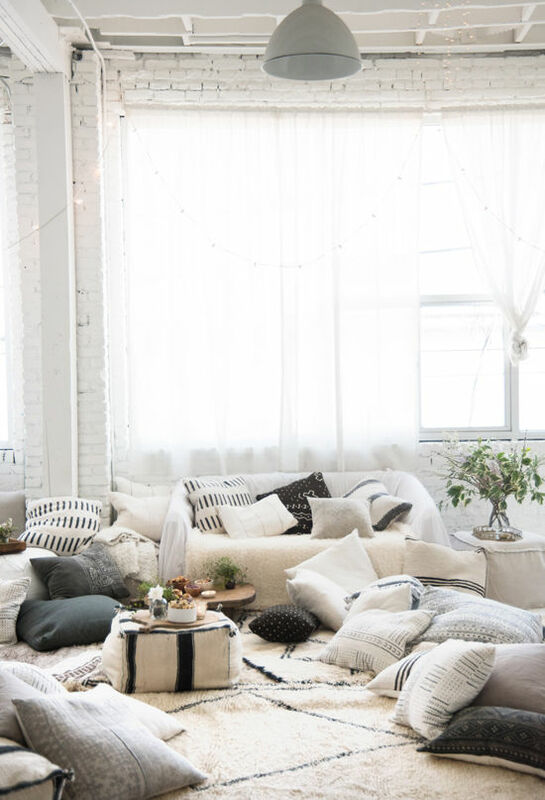 Holy crap, i’d never leave if i collapsed in that sea of cushions! Awesome idea guys, thanks for the inspo! Wow! The best party I’ve never seen! 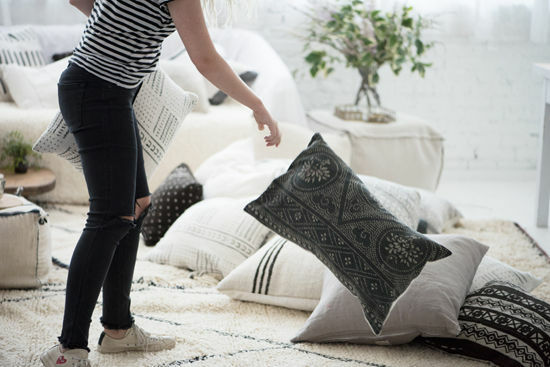 Hello, could you tell me where you got some of those pillows from, love the cases and have been in search for similar! I’m wondering where the pillows are from too! Great party! 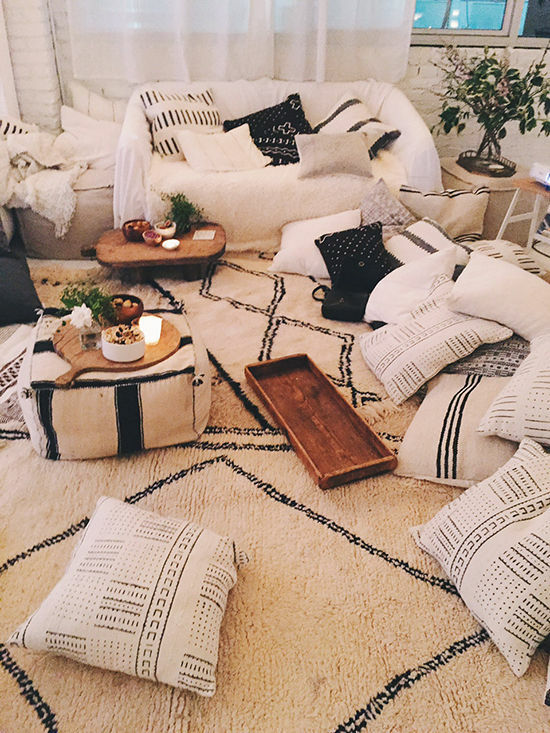 Where are the pillows from, love the black and white. Awesome! Thanks for the list! Wish I had a huge closet to hold dozens of pillows for movie nights! 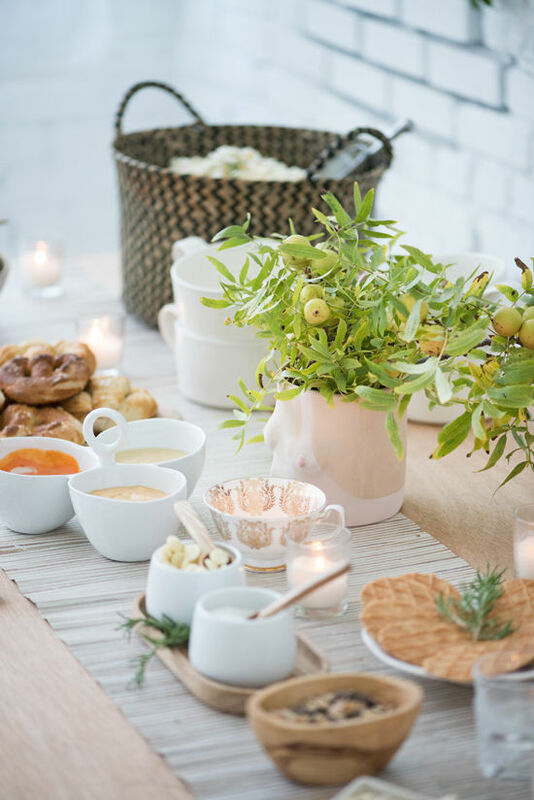 Strange question… what is the name of the vine like looking plant in picture 3? 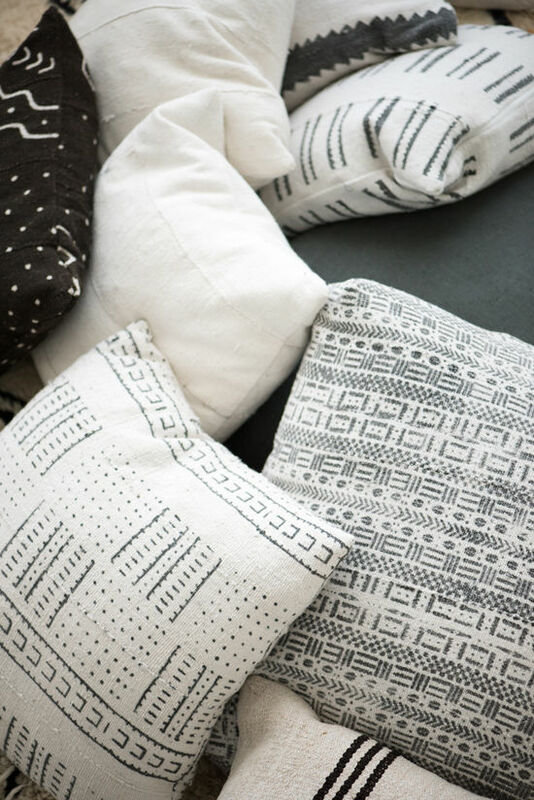 Lots and lots of wonderful cushions on hand…WOW! Thannk you a lot for sharing this with all of us you really recognise what you’re talking about! Lovely party, hope to be a part of all this fun.